and we will celebrate our first ten years! Ten years have passed since at the end of 2008 the Gallery opened its first season with the exhibition Mario De Biasi “Yesterday, Today” starting a slightly crazy but certainly passionate adventure into contemporary photography. I first saw Patrick Willocq’s work in 2014 at Les Rencontres de la Photographie in Arles. The spectacular and striking images belonging to the “I am Walé respect me” series completely overwhelmed me. His rendering and re-creation of the Walé women’s dreams, songs and rituals of the Ekonda tribe of the Democratic Republic of Congo were heart-stopping. They were more powerful than any other documentary photographs on the subject could have been, and reflected in every possible way, all my thoughts about fine art photography. I am therefore very pleased to celebrate our tenth year and start the new season with Patrick’s exhibition “One Finger Cannot Pick a Stone” from the commissioned project “Society and Change in Northern Ghana: Dagomba, Gonja, and the regional perspective on Ghanian History” by the Noorderlicht Foundation / African Studies Centre; a project which was finalist at the Oskar Barnack Leica Award in 2017. 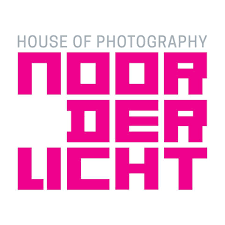 Patrick writes: “This artistic documentary, a commission for Noorderlicht Foundation / African Studies Centre, produced in Yendi in the Northern Region of Ghana and in collaboration with local communities, depicts Dagomba traditions and rituals. A local proverb says that one finger cannot pick a stone, which means you have to stick together to move forward. 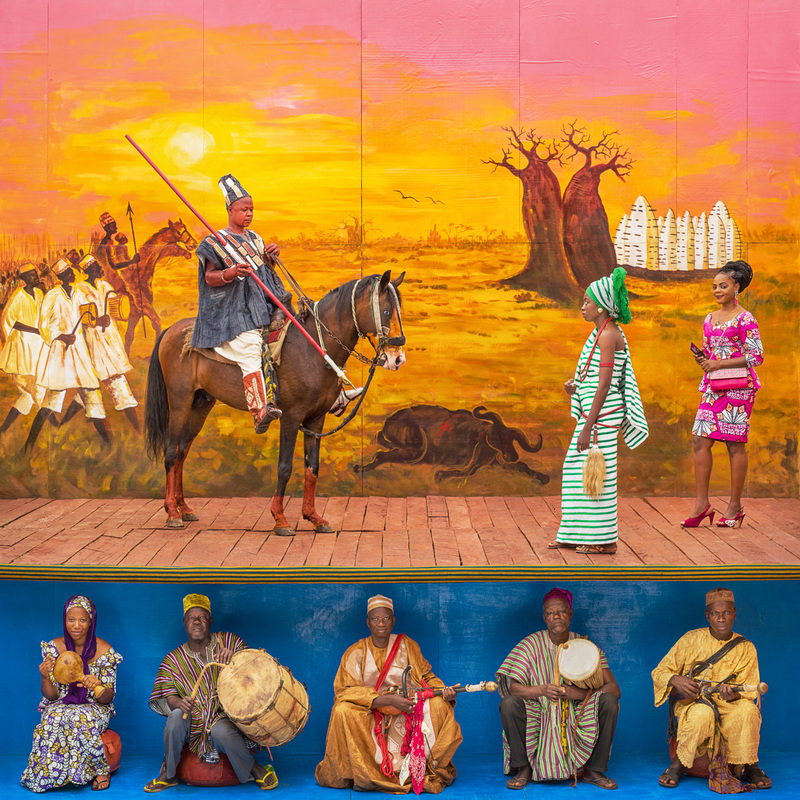 The 6 elaborately staged scenes, bear witness to this saying and to the Dagomba rich cultural heritage to help understand how history and traditions have shaped present-day realities and the challenges ahead. For this project, I interviewed the overlord King Yaa Naa, whose court is at Yendi, various paramount chiefs, court elders, drummers and fiddlers, university academicians, an Islamic scholar and a traditional land priest. I listened to their stories and staged performative photographs from those stories, together with communities, turned into actors. 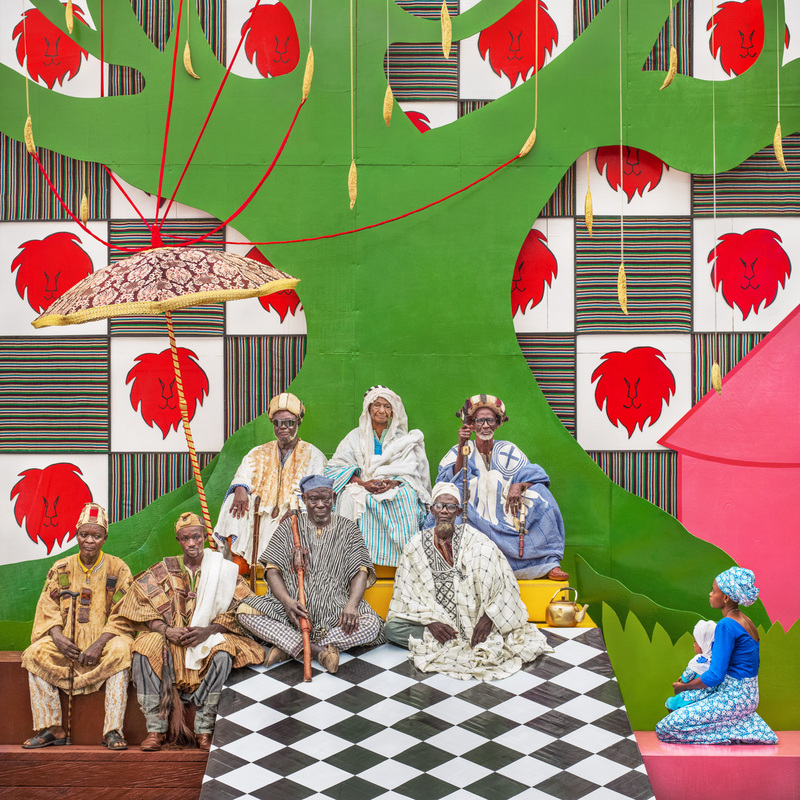 To ensure a culturally accurate visual iconography, local artists and artisans helped to build the large decorative sets, using locally sourced materials. The Dagomba are an ethnic group based in the Northern Region of Ghana. Their kingdom, called Dagbon, was established in the 12th century. They descent from warrior immigrant groups that invaded the area and imposed their rule over the indigenous peoples. They intermarried with these people whose daughters they took as wives and whose languages and social norms they eventually adopted. Their traditions of foreign origin and the associated exploits remain and are recited by professional court drummers and fiddlers during funerals and festivals, and during investiture of traditional rulers *. 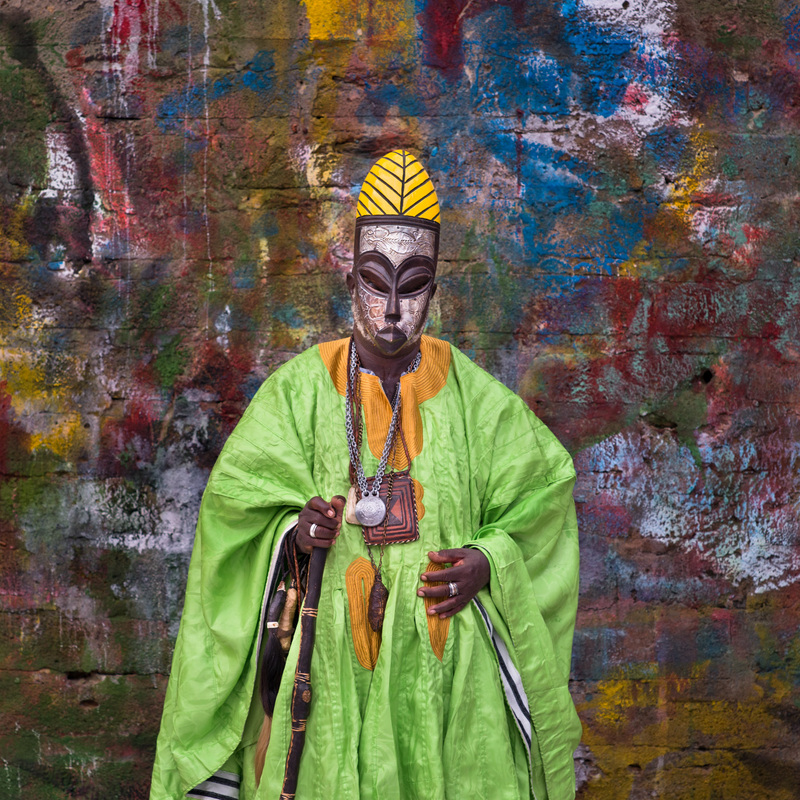 In these highly researched, and elaborately staged, photographs on the traditions and rituals of the Dagomba tribe, Patrick has transformed his camera (even though technologically sophisticated) into an element gifted with an extraordinary conceptual simplicity: that of placing at the centre of attention his genuinely respectful approach to people, their history, culture, heritage, their lives and their desires. The gestures of these men and women appear unfailingly measured and calibrated, making it a symbol of an entire population and possibly of an entire nation, without falling into the trap of homologation and in recognition of the profound dignity of the individual. And in this spirit, we set the tone of all prospects and endeavours for our next ten years.